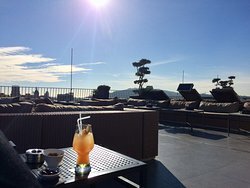 Barcelona has many nice rooftops to enjoy spectacular views while having a cocktail or dinner. Lively, chic or cozy, there is something for everyone. 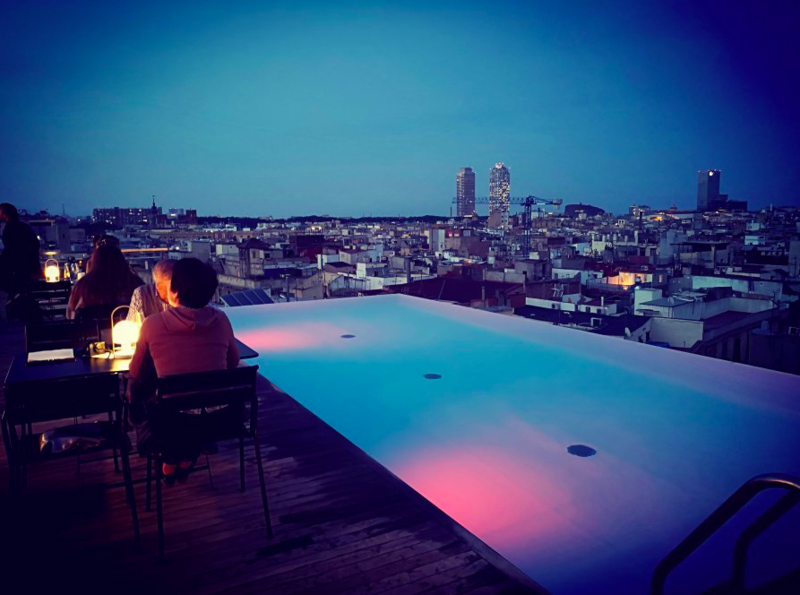 Locabarcelona offers you a list of the best rooftops in Barcelona. Located in the heart of the city, a few steps from Passeig de Gracia metro, this rooftop offers a breathtaking view of the city center of Barcelona. The rooftop is on the roof of the 5-star Hotel Majestic. It is ideal for lunch in the sun or for a drink after a day of work. The price range is around 30 € for a meal and ten euros for a cocktail for example. It’s one of Barcelona’s must-see rooftops. Whether the view, the setting, or the charm of this rooftop, everything is there to make you have a good time. Located on the pier at the en d of the Gothic Quarter, the view directly overlooks the harbor. You can admire the various boats and even some pretty impressive yachts for some. The food is very good but, you have to put a price. You can, however, go there to enjoy the sunset, a cocktail in hand. 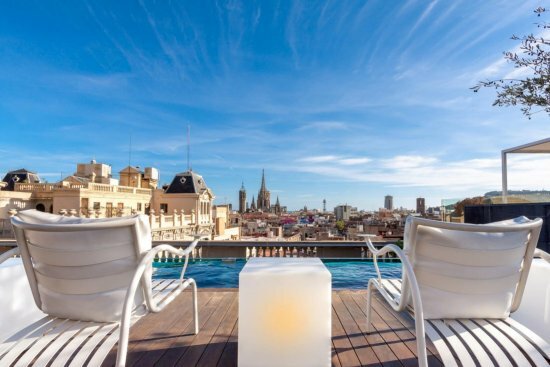 Located next to the Gothic Quarter, close to the famous Rambla Catalunya, this rooftop offers a very pleasant place to relax at the end of the day or to enjoy the pool when the weather is fine. The place is quiet and relaxing, you have the possibility to book for several people if you are on holiday in Barcelona. It is a very popular place and enjoys, we advise you to book if you wish to dine. 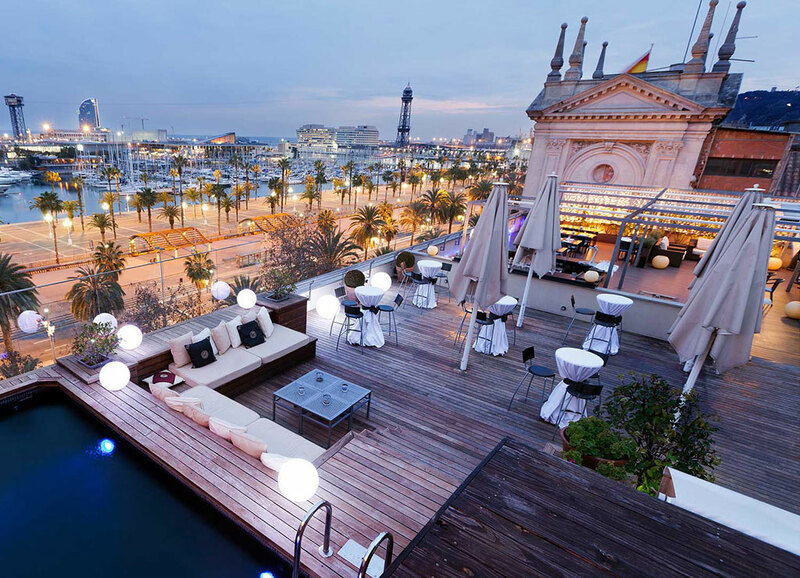 Ideal to spend a romanti c evening or to enjoy the sweetness of Barcelona at night, the Sky Bar is a cozy and chic place. The welcome is impeccable, own to a 5-star Hotel and the frame and the view are impressive. If you go there when it is still fresh, the waiters will bring you plaids and heaters to take advantage fully of the moment. For sunny days, you can cool off in the swimming pool. 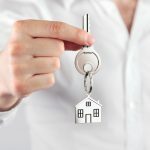 You will be able to dine for a good price range, but make reservations as places are limited. This is the perfect place to have a good time. 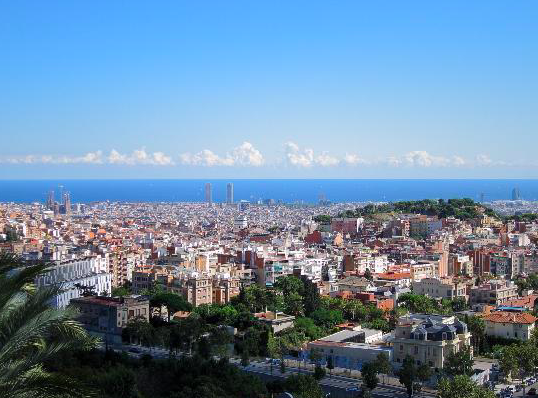 Although this is not a rooftop, this place is worth visiting if you want to enjoy a 180 ° view of all of Barcelona. 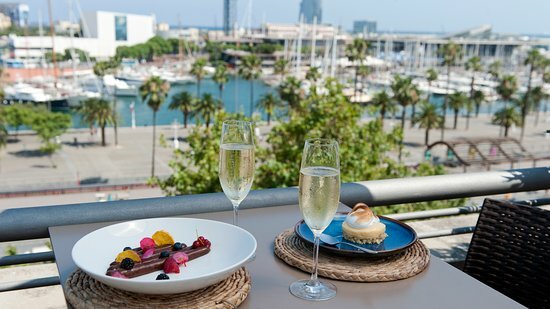 Located on the heights of Montjuïc, you can enjoy a good meal while sipping a cocktail or a glass of wine. The terrace is very lively and you can even dance to the view. The restaurant/bar turns into a dance bar in the evening. The food is simple but authentic and controlled and the prices are reasonable. This is the ideal place if you want to discover a different place from the rooftops of the city center.